I decided to revisit running stitch in my TAST embroidery adventure. Running stitch is not only just about the simplest embroidery stitch there is, it’s also one of the most versatile, and one of my favourites! I’ve worked four pages of it so far and I still haven’t covered everything you can do with it. I worked these three samplers to record some more information on what can be done with running stitch embroidery. Firstly, an appliquéd sample inspired by Japanese boro embroidered fabrics. Various cotton fabric scraps stitched with my very first handspun cotton. 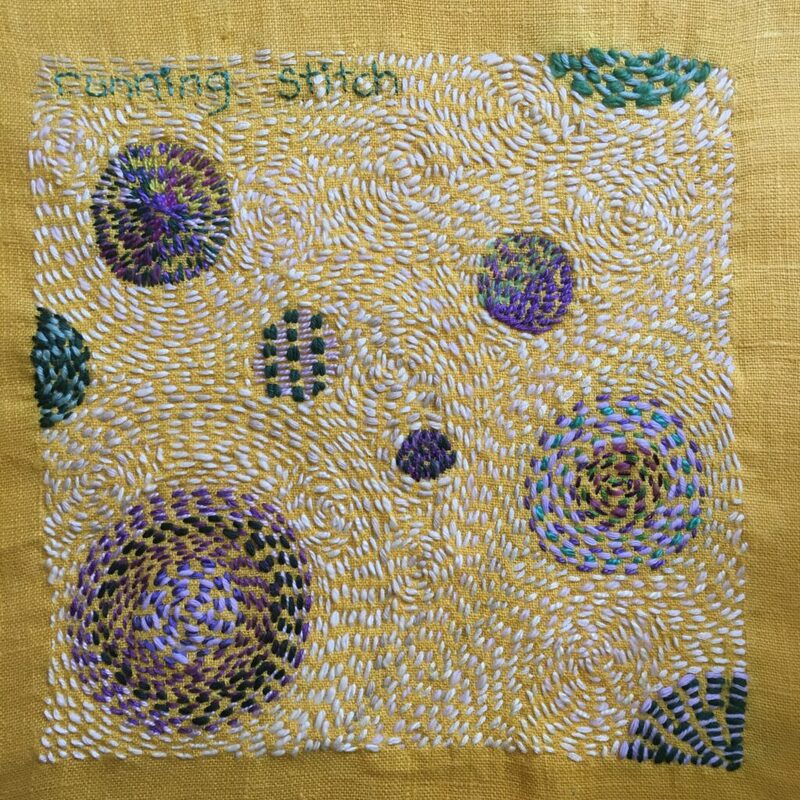 Next, a sample of using running stitch to imply motion. I drew some circles and filled them in different ways using running stitch. Then I drew lots of spirals in the background and stitched those, then filled in the spaces in between, following the lines of the spirals. 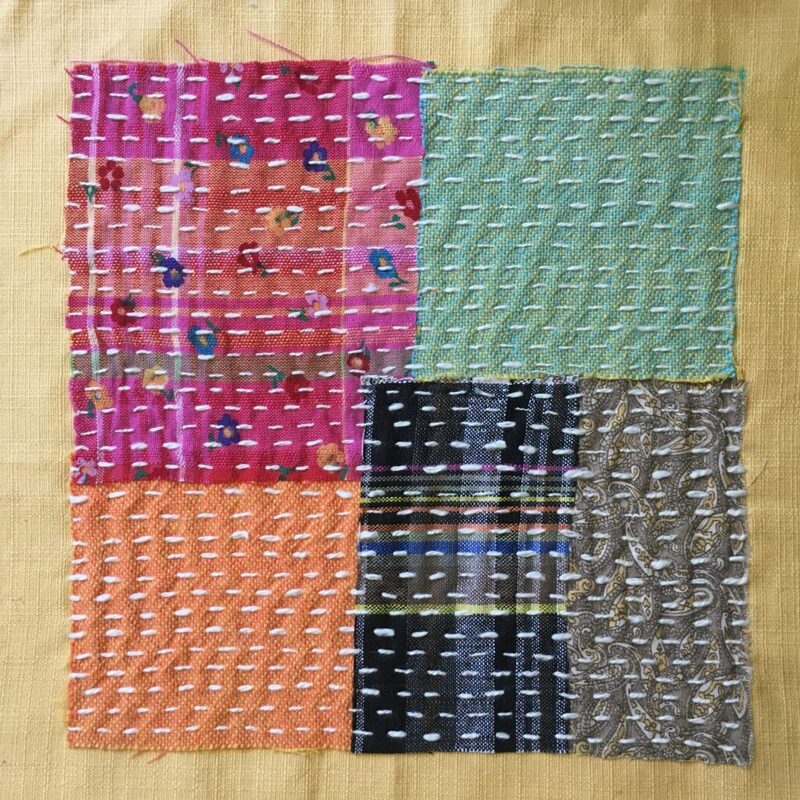 This sampler is worked in various stranded cottons, soft cottons and handspun cotton. For my next running stitch sampler I had to use a magnifying glass! 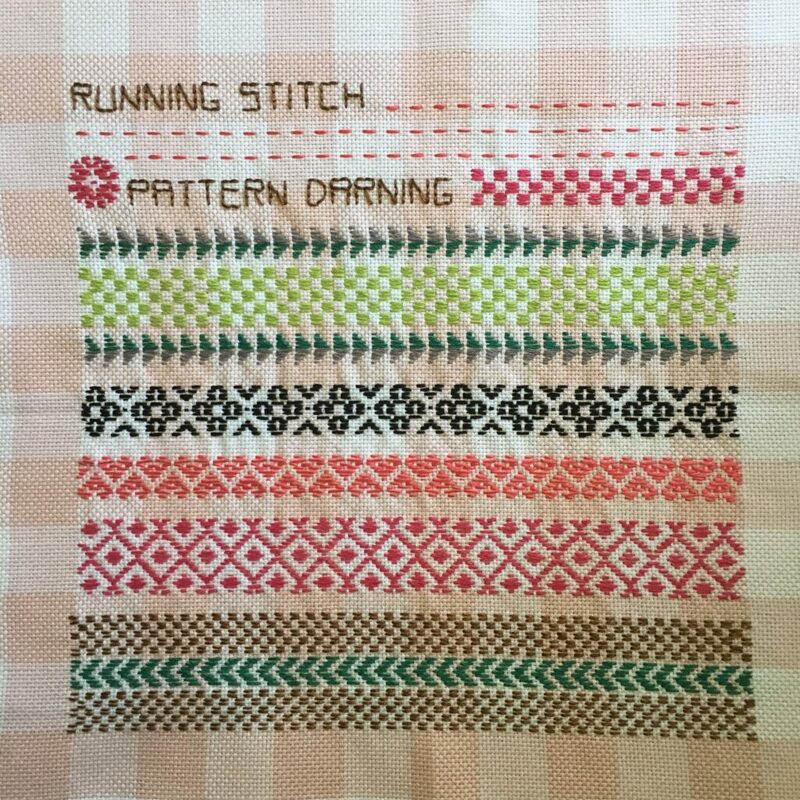 I worked pattern darning on tiny even-weave fabric using 2 strands of stranded embroidery cotton. The charts I used are from a basic book on Fair-Isle knitting. I still have one or two more running stitch samplers I would like to make. Next up though, I revisit blanket/buttonhole stitch and buttonhole wheels.